‘A magnificent land of uninhibited dreamers’ or a rotten capitalist nightmare? Neni Jonga, a Cameroonian immigrant to New York, believes the US to be the former, but her husband Jende has come at last to see it as the latter, a place where his life has become unendurable, alternating between a roach-infested Harlem apartment and a 14-hour working day spent washing restaurant dishes, to keep his family from going under. The immigrant’s dilemma, that bewildering juxtaposition of hope and lived experience, is one of the topics that Mbue cleverly encompasses in her debut, a gently-narrated, subtle tale of a Cameroonian family riding the destructive wave of American life during the economic crash of 2008. As the novel opens, Jende, a man without formal immigrant status, is helped by friends to secure a job as chauffeur to a high-powered Lehman Brothers executive, Clark Edwards. Borrowing the suspense inherent in this arrangement, Mbue draws a picture of Jende and his family becoming increasingly drawn into a relationship with the Edwards. Clark relies on Jende’s discretion while the Edwards children, Vince and Mighty, become friends with the Jongas and their son Liome. And Neni spends a summer working for Clark’s wife Cindy in their eye-poppingly comfortable Hamptons home. The financial and material contrasts of this set-up may be obvious, but the opportunities for cultural comparisons are also significant and Mbue takes full advantage. As the shadow of the coming crisis intensifies, so other problems develop for Neni and Jende. 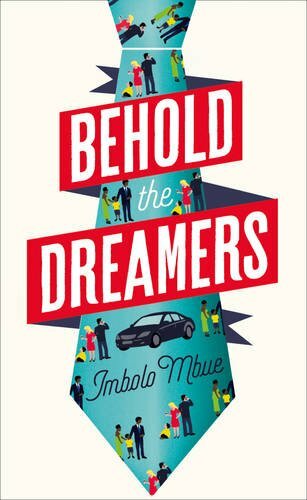 The birth of their second child Timba compounds their financial difficulties while their individual and joint relationships with the Edwards become ever more tangled. Yet Mbue – a Cameroonian herself –notably inclines away from the predictable. Her use of the African perspective in two continents and her careful but unsentimental portrait of the Jonga family are reminiscent of Chimamanda Ngozi Adichie’s Americanah. Mbue is less overtly ironic perhaps but shares insights and wry humor in her capturing of Neni and Jende’s far-from-identical responses. The novel’s perspective belongs plausibly to both of them. 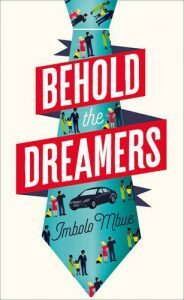 Mbue’s deft novel avoids didacticism while scrutinizing social and cultural gulfs, and plumbing the American dream with an outsider’s curiosity. Her first book, smoothly readable and of wide appeal, both engages and surprises.